Globalization and Modernization in any country has not only led to infusion of foreign products, but have also opened doors to lot of foreign opportunities. To tap these foreign opportunities, there is a need to reach the international audience. But there exist a barrier of communication in tapping these foreign opportunities (which is faced because of difference in languages). Translation helps in breaking this barrier, as translation is the communication of the meaning of a source-language text by means of an equivalent target-language text. While translating, the meaning of the message should remain the same and deliver the same emotional impact as it was originally giving. 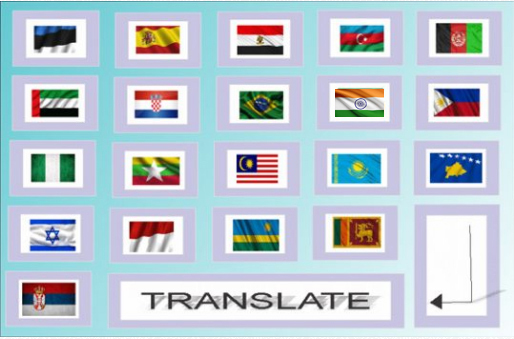 Ansh Translation Private Limited is a translation company which offers more than 2000 language pairs and has a team of around 25000 translators. Ansh works with the objective of having a team of professionals who have acquired skills to translate, edit and format texts for the needs of public and private institutions at both the national and international levels. Ansh follows what Mona Baker said once that, “Translators have to prove to themselves as to others that they are in control of what they do; that they do not just translate well because they have a “Flair” for translation, but rather because, like other professionals, they have made a conscious effort to understand various aspects of their work”. 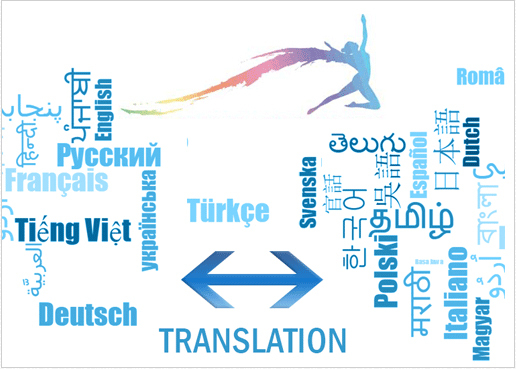 We at Ansh have a team of translators whom we can vouch at and form the pillar of strength in our translation business. Ansh Intertrade Pvt Ltd is a translation company offering services in more than 2000 language pairs. We translate any document related to any subject and any field. Ansh converts the source language text to the target language text in high quality standards with the help of our team of professional native translators. We translate documents in all fields including general translations like news articles, travelogues, private or business letters and job applications etc. Our procedures for translation work are identical for all kinds of translations. If you have a general text to be translated, we would do with the same attention to detail that we pay all other texts. Your text will be translated by a professional translator who is native to the target language country. Our works in general translations is of the highest quality. Ansh translates works in all domains. One of the most important domains where we have made our presence is Legal Domain. It takes care of all the translation of texts within the field of law. As law is a culture-dependent subject field, the work of legal translation and its products are not necessarily linguistically transparent. Therefore it requires attention to detailing and well qualified translators who can translate the legal text without changing its legal sense. The source legal documents need to be translated in such a way that they suit the legal culture as it will be read by someone familiar with the legal system. So target file should be created keeping in mind the jurisdiction of the source file. Ansh has a resource pool of 3000 native translators who are specialized in legal domain. We work in all types of legal document translations in any language. Legal documents may include patent & trademark translation, property & will translation, corporate law & civil law, official documents & travel documents (visa & passport), company formation and financial documents, certificates (birth, school, degree, marriage, divorce and death), certificates of accuracy, witness statements, depositions, trusts, wills, articles of incorporation, litigation documents, immigration documents, property/exhibit labels and in some cases attendance in court by the translator. One of the domain in which we work is Medical domain. Medical translation is the translation of technical, regulatory, clinical or marketing documentation, software or training curriculum for the pharmaceutical, medical device or healthcare fields. Most countries around the world require that literature and labeling associated with medical devices or pharmaceuticals sold be translated into the national language. In addition, documents necessary to conduct clinical trials often require translation in order for local clinicians and patients and regulatory representatives to be able to read them. Regulatory approval submissions typically have to be translated as well. Ansh has a team of professional native translators who have specific linguistic skills, specific training of subject matter and knowledge to translate medical contents. They can maintain the high technical, sensitive and regulated nature of medical texts. Technical translation is translation of documents which involves technical writers. The areas which involve technical translation are the ones related to technological subject areas or texts which deal with the practical application of scientific and technological information. Technical translation also involves usage of specialized terminology and requires a high level of subject knowledge and writing conventions. A word in a technical dictionary may have many meanings. It is the translators skill set to select the most apt word in the target language which fits for the given context. Ansh has a team of professional translators who are native and experienced in their field. Be it any type of technical translation, we can handle all with great expertise.